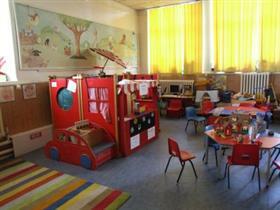 Housed in the Olney Centre, the Pre-School has exclusive use of two spacious rooms, an outside play area and garden. The children learn fun and education, created by a dedicated team of long serving staff and parents, preparing them for their next step into full time education. The Pre-School welcomes all children aged 2 years 9 months to 5 years who live in the town of Olney and the surrounding area (as spaces allow). The Pre-School has charitable status and relies on the efforts of staff, committee and parents to raise funds by various means throughout the year. To provide a safe, secure and stimulating environment for the children in our care, and help them make the transition to full-time schooling.